Childhood does not at times proclaim the man that the child is to be. In the case of Henrik Ibsen, as a child- his childhood was spent in mediocrity. There were little signs of the theatrical genius he would become. As the oldest of five children born to Knud and Marichen Ibsen, grew up in the small Norwegian coastal town of Skien. 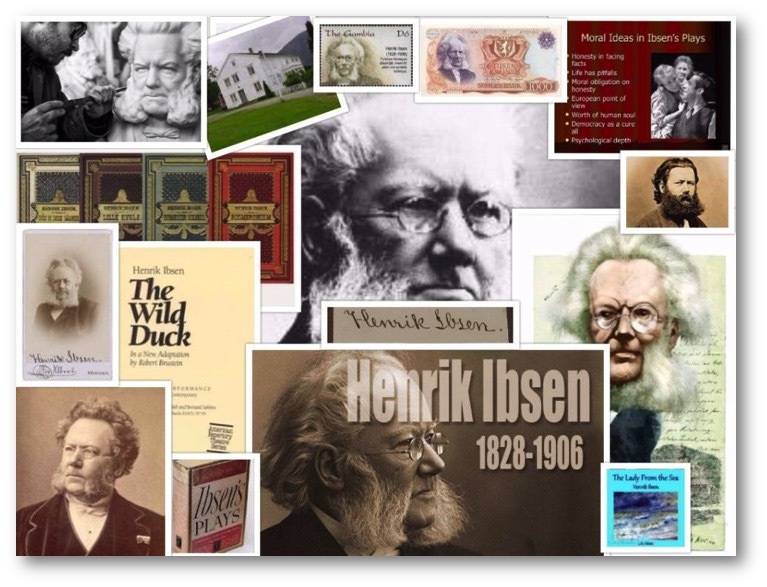 Ibsen’s ancestors were sea- captains and businessmen, while his father was a successful merchant and his mother displayed artistic tendencies as she painted, played the piano and loved to go to the theater. Among the four siblings- three brothers and a sister, who were born after him, Henrik was the only member of his family to show talent and ability. Taking after his mother, Ibsen himself expressed an interest in becoming an artist as well.